Matterhorn- don't worry! The travelogues will get to it! In early July, SMS and I went on an amazing 17 day trip to Switzerland. I had almost a month off between jobs and we decided to take advantage of it and plan an epic vacation. Because of the 4th of July holiday, SMS only missed 9 days of work during that time so it worked out well for him too! When we were deciding on the trip, we ran through the places on our informal wish list. We had talked about visiting Ticino, Switzerland together since we had both visited separately many years ago. We both thought it was so beautiful and so fun, we really wanted to go back. As I researched more about Switzerland, I found more and more places I wanted to visit. So, in the end, we spent 17 days in Switzerland alone and the funny thing? We still didn’t see everything that crossed our radar during our trip planning! [Just a FYI, the other places we wanted to go were not super conducive to a July vacation. Other options we considered were Australia, New Zealand and South Africa but since July is the middle of Winter for all three, we decided to forgo those places. 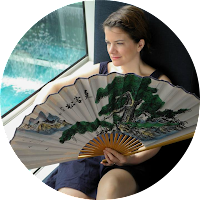 There are, of course, other places we want to visit but I really wanted to take advantage of the extended time we had to mitigate the energy sapping effects of a long-haul flight. So. July 1. We took an overnight direct flight on Swiss Air. It was code-shared with United, where I have a lot of miles but I booked through Swiss Air in order to pick our seats. The airplane economy seating was in a 2-4-2 configuration so I picked two of the two-seaters. Although it was a little more expensive, it was worth it. Some day, I hope that it’ll be “worth it” to fly business or first class but since that would have doubled the vacation budget, I deferred. The flight was fine and we landed in Zurich around 1630. We got through customs quickly and hopped on the train from the airport to the main Zurich station. 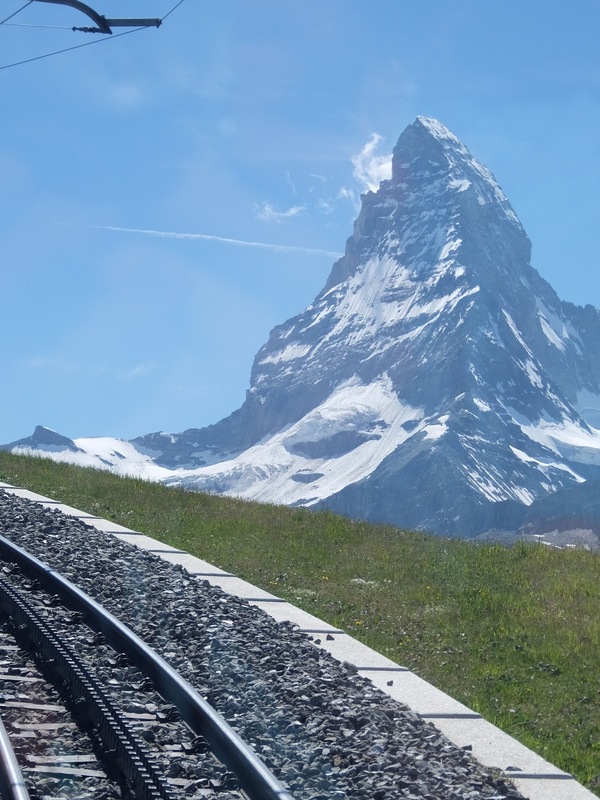 We had purchased a 15-day Swiss pass which we had printed at home so train travel was very easy. We didn’t have to fuss with ticket vending machines and we always found seats in the second class sections. I didn’t even make seat reservations, which was great for flexibility. We didn’t take any tourist trains during the trip because they tend to sacrifice speed for scenery. I felt we saw everything through the “normal” trains and although the train rides were cool experiences themselves, I definitely didn’t feel the need to add more train time to our trip. Mt. Pilates from the apartment balcony- amazing! Anyway. After we arrived at the Zurich HB, we transferred to a train bound for Luzern, home of my college friend Gisele and her family. We arrived around 1900 and Gisele graciously picked us up at the train station. We drove to her apartment, which had an incredible view of Mt. Pilatus. 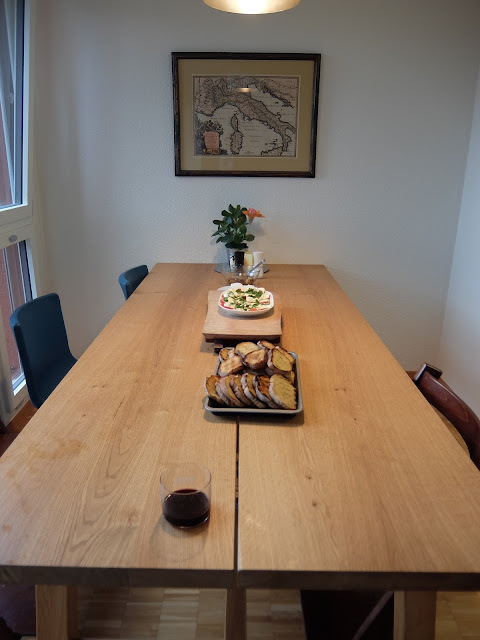 They had other friends visiting so we all hung out together and enjoyed a delicious meal of “fancy toast:” thick slices of amazing bread with lots of toppings to include mashed avocado, caprese, butter and chèvre with caramelized onions. It was SO good! It may look simple but dinner was amazing! SMS and I hung in pretty well and then we went to bed. It was so nice to spend our first nice in the company of friends! 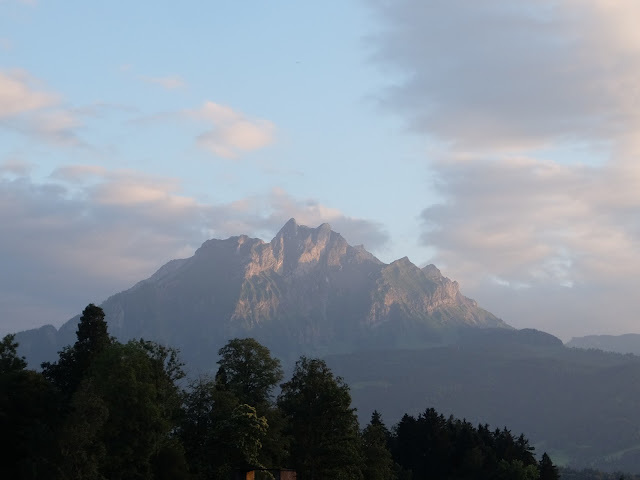 Switzerland, Day 3: Luzern and Happy 4th!